John was too full for a proper dinner tonight since he ate one of containers of leftover Moroccan chickpeas with chard for a late lunch. My lunch was somewhat smaller so I decided to go with the dinner on my menu schedule. Cellentani is also known as cavatappi which means corkscrew in Italian. This was an easy dinner to whip up in about 15 minutes. I love the spicy peanut sauce and I will never say no to pasta. 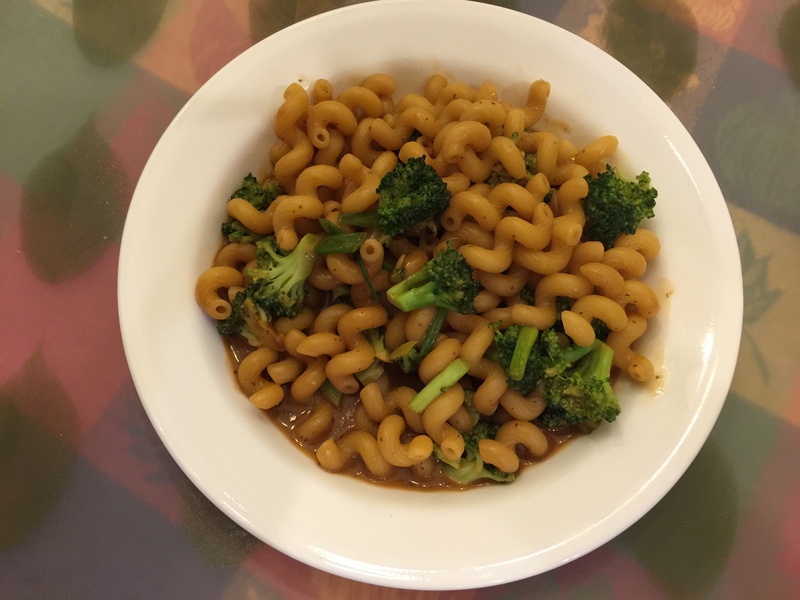 This entry was posted in Pasta, Vegan, Vegetables, Vegetarian and tagged broccoli, green onions, pasta, Peanut sauce. Bookmark the permalink.